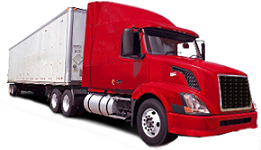 We are your one-stop-shop for everything you need to run your transportation and freight logistics business. 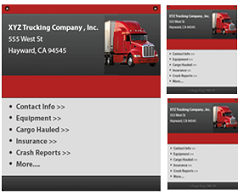 Our website allows you to post load or find trucks, post trucks or find loads, look up carrier profiles, buy trucks, find jobs, browse useful information and even invoice your customers for the work you do. Cost Savings: The main things users want from a website service is simplicity and affordability. The QuickTSI website has been built entirely around this understanding, so we have kept our prices affordable and in many cases offered many services for free. Time Saving: With us you get all the information you need to run your business easily so you can spend more time on growing your business rather than trying to find this information from multiple sources. Customer Service: We believe in growing with our customers. So your success is our success. We work hard to actively listen to our customers. We respond in a timely manner to emails and phone calls and try to address any issues to the best of our ability. Sign up today to start saving time and money! Awful company to deal with. They over promised and under delivered. The quote was WAY OFF, the timeframe was WAY OFF and they tried changing the date of pick up to a day earlier! There was zero communication unless they were looking for your money. If there was any communication, it was ALL false information. NEVER USE THIS COMPANY TO MOVE!!! Only 1 positive: the guys actually doing the heavy lifting were great. If you plan on moving, consider doing it yourself and save the headache!!! Really bad bad experience with this mover. We are moving right now, at last they are delivering our furniture right at this moment, but without paying what ever they want in cash, not the amount we agreed , not the amount we signed, whatever they want, it is robbery. Only thing we ask is give us a receipt, they are saying no right now. This is not the first time they overcharged, when they loaded up our furniture, they said they want more than one thousand more after loading our furniture, the first robbery. The worker told me we should pay for storage for our funiture, but this is the time we slept on the airbed and urged for delivery all the time. They never reply email, never pick up calls. I am so frustrated and really do not know what to say.